June 3, 2014, marks the 25th anniversary of the Tiananmen Square Massacre, the concluding event of a three-month long protest begun by students pressing for liberal political reforms from the communist government. ﻿﻿1989 was the year when the Cold War entered its death throes. By the end of the year, the communist governments in Poland, Hungary, and Romania, came to an end, and in the latter quite violently. That November, East Germany opened its borders and overnight the Berlin Wall – the iconic symbol of totalitarian oppression – became obsolete (United States). The Glasnost and Perestroika policies of then-Soviet General Secretary Mikhail Gorbachev opened up and restructured the government to permit greater political freedoms. Like the Arab Spring of 2010, which spread throughout the Middle East and North Africa, Gorbachev’s reforms touched off a fuse of a long-harbored resentment throughout Eastern Europe (United States Dept. of State). In the middle of all this, China was also struggling with its own political crisis. Following the death of Hu Yaobang on April 15, 1989, a communist politician who had been pushing for reforms, students held memorial services in Tiananmen Square, which quickly turned into protests. In honor of Hu’s memory, the students pushed an agenda of pro-democracy reforms, and would not leave the square until their demands were met (Zhang). 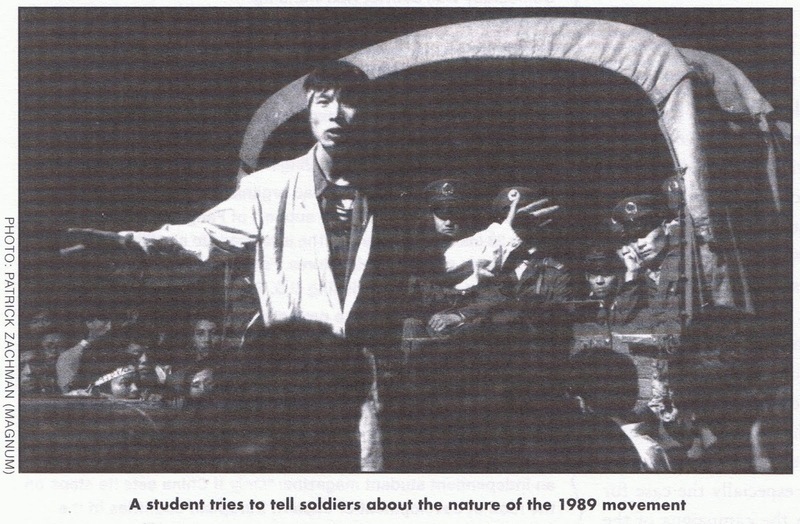 The student spokesperson who first reported their demands to the press on April 18, 1989, presented an idealistic agenda. In addition to calls for elections, freedom of speech and the press, and government transparency, the students also called for the entire government to resign. This latter demand seemed hastily added during the press conference and immediately set the student movement on the road to a military confrontation with the government (Zhang). That Winter and Spring of 1989, the move towards democracy throughout the nations of the Eastern Block was inexorable. In many cases, the move was not always very smooth and at times devolved into armed conflict. Inevitably, as pro-reform mass demonstrations came to China, the West assumed that China might join the growing number of former Communist nations. Nevertheless, while the desire for democracy may be universal, the calculus to obtain political freedom is far too complex a formula to simply apply to all nations. I was on duty at an AM news-talk radio station overnight June 3 and 4, 1989, when I came across a news report by an English-speaking announcer for the Chinese government-sponsored Radio Beijing. I was surfing the station’s satellite channels and picked up a network news feed of various reports about the massacre as it was unfolding. Feeling that it was important, I recorded the broadcast. 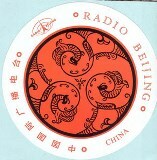 The name of the Radio Beijing announcer was unknown to me at the time, but I later discovered through contacts at Radio Free Asia that it was Yuan Neng. 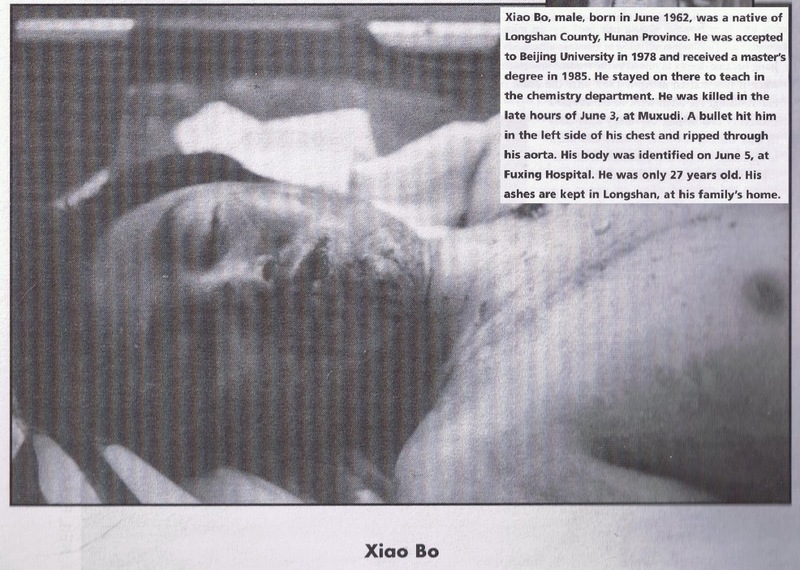 His eventual fate is unknown; however, in late 2013 a reader of Aeolus 13 Umbra, a professor of Chinese studies at an Australian University, informed me that one of his colleagues – a former Radio Beijing reporter – told him Yuan Neng reportedly relocated to Los Angeles, California. My limited resources, however, prevented me from confirming this report. 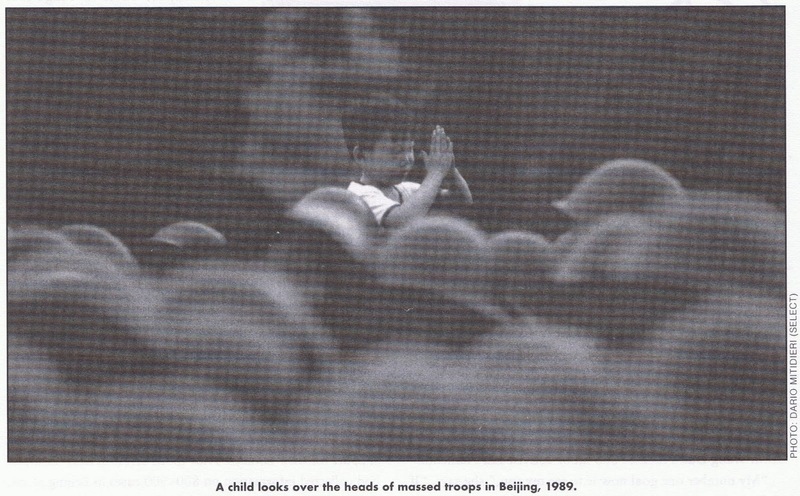 Below is an audio documentary about the Tiananmen Square Massacre I produced for a course in Producing Historical Documentaries for Radio with Professor Gerald Zahavi at the University of Albany in the Fall semester of 2000 while working on my master’s degree. In it, you can hear Yuan Neng’s original broadcast from June 3, 1989. Professor Zahavi also broadcast this report on his Talking History program on WRPI-90.9 FM, the radio station for the Rensselaer Polytechnic Institute, in 2000 and 2001. An uncut version of the Radio Beijing announcement without my commentary can be found on my YouTube channel, available at https://www.youtube.com/watch?v=rt2vy_QftKU. An earlier article detailing my experience that evening is available at The Lost Voice of Radio Beijing. 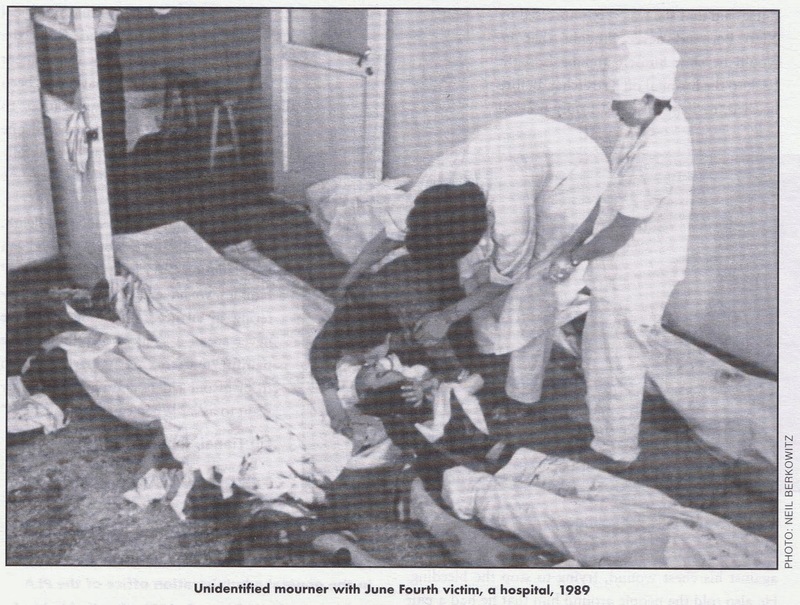 As the 25th anniversary approached, I tried to get some wider media interest in Yuan Neng’s story. Alone, he dared to report the truth about the Tiananmen Square Massacre as it was happening. His is the only voice from government-sanctioned state media to provide the West with an unvarnished account of the brutality the Communist government unleashed on its own people, who were peacefully protesting for greater political freedom. Alas, I could find no wider media interest in telling Yuan Neng’s tale. A front page editor for the Wall Street Journal who read my earlier article was intrigued, but he quickly lost interest. Calls and e-mails to other media went unanswered or received an apathetic response. Here, in her statement, we see the power of Yuan Neng’s bold act. This was not the West telling the Chinese about the massacre – it was one of their own people, working for the government as it was happening. A singular, lone voice among a billion, and as time goes by Yuan Neng’s voice is becoming a forgotten footnote in an incident quickly becoming a lost memory in his homeland, and a rapidly diminishing object of annual curiosity in the West. As China moves further into the 21st Century with its own blend of communism with a capitalist twist, as Western industry becomes further entwined with the Chinese economy, Yuan Neng and the victims of Tiananmen Square will become inconvenient relics – a tragedy nearly as great as what happened on that day in early June 1989. UPDATE June 4, 2015: Through various sources, including a reader of Aeolus 13 Umbra and a Canadian film documentarian, it has been reported that Yuan Neng is alive and living in the United States, but does not wish to discuss the events of June 3-4, 1989, at this time. UPDATE February 2019: The Lost Voice of Radio Beijing announcer’s full name is reported as Chen Yuanneng (see comments, below). If accurate, previous reporting in the open press of Yuan Neng as his full name may be attributed to poor translations and cultural misunderstandings. Forum. Summer 1999: 44-46, 80. Print. –1992. Dept. of State. 31 Oct. 2013. Web. 28 May 2014.